Silicon Valley pioneer Hewlett-Packard released a new logo for its premium line of laptops—the logo they rejected a few years back. HP unveiled their ultra-thin Spectre 13 laptop with a highly minimalist logo. It would be the new logo of their premium line of laptops moving forward. This is a drastic change from their previous premium laptop logo that spells out Hewlett-Packard in a sans serif typeface. 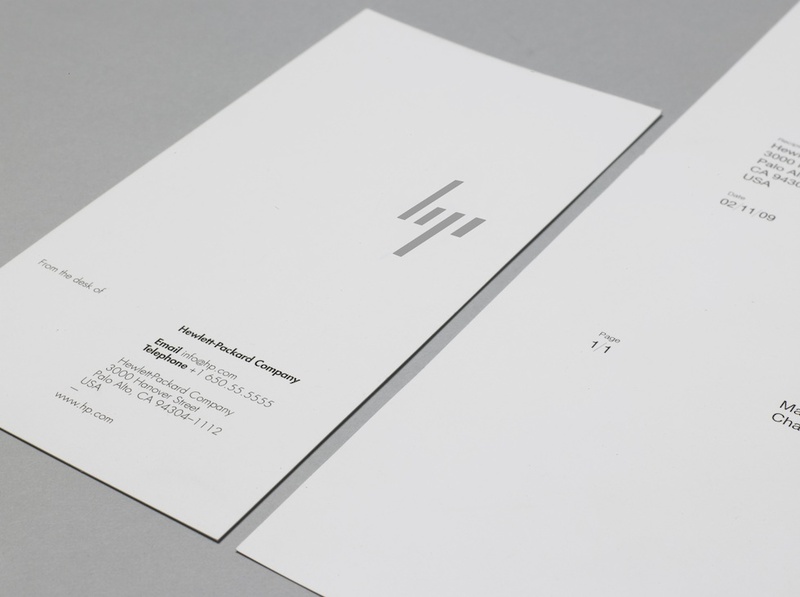 The new logo consists of four strips of varying lengths that suggests the HP logo. Those who are aware of aware of the HP logo might see it easily, but those who are not familiar may have a hard time doing so. Then again, if you see it plastered on a laptop, you will most likely recognize it immediately. HP actually rejected this very logo five years ago when they tasked creative agency Moving Brands to work on a rebranding. “The ambition was to transform the world’s largest technology company into the world’s most powerful brand; a blueprint of a brand built for the moving world,” says the company in their detailed branding study. 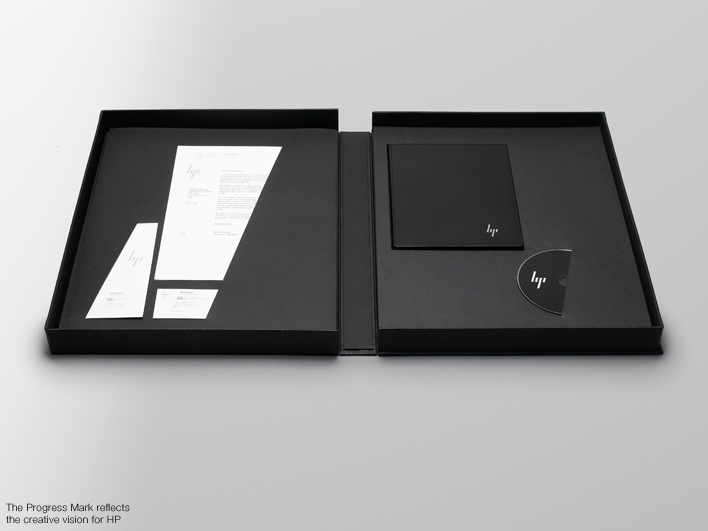 Using the theme “Human Progress”, the team created a cohesive branding design that encompassed the entirety of the HP brand, from the brand’s visuals to their website interface. It’s unfortunate that HP did not apply this rebranding strategy to the whole company, but it’s reasonable that they used it for their premium line. The HP logo has been around for so long that the typeface and its distinct slant is recognizable everywhere. It might be quite a leap for the company to change their iconic logo. The premium laptop line provided them an opportunity to not let this impressive logo go to waste. After all, the target market for Spectre and their other premium laptops are the customers who recognize the company’s technological abilities. 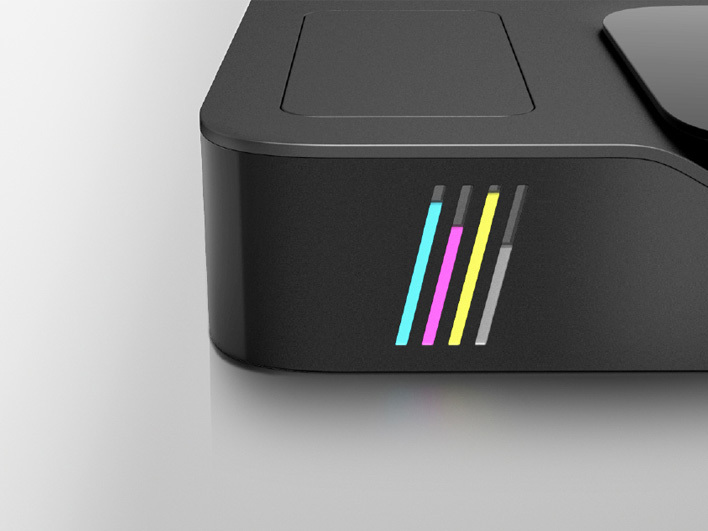 The sleek and elegant slanted lines might not be readable for their mass market. customers but would be instantly recognizable for their loyal ones. Here’s to hoping this would be the first step for HP to apply it to their brand as a whole. 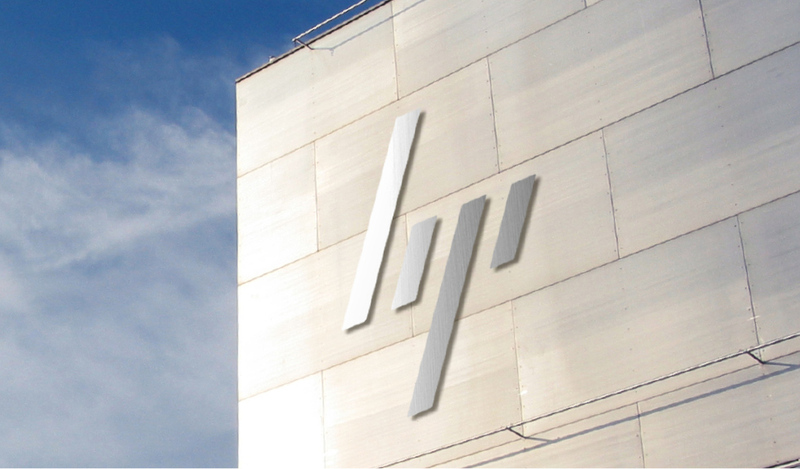 Do you like HP’s “new” logo? Comment your reaction below!